One way to pick the right flowers for birthdays is to consider the types of flowers that are symbolic of the happy celebration. There are various flowers to choose from at the flower shop but not all may suit the purpose. Let the florist help you pick the most suitable flower. Birthday celebrations should be cheerful and full of fun. If you are picking flowers for a beautiful flower arrangement, consider the colors of flowers that are symbolic of cheerfulness and happiness. Colorful and bright flowers are perfect for the occasion. You can choose Gerbera Daisies in different colors or a bouquet of mixed flowers in different colors. Aside from flowers, you can add a fruit basket or a hamper of special gifts and treats for the birthday celebrations. There are plenty of gift items to choose from, like cakes and chocolates, wines and drinks, snacks and gourmets, and many more. In picking the right birthday flower arrangement, it is also important to consider the delivery. 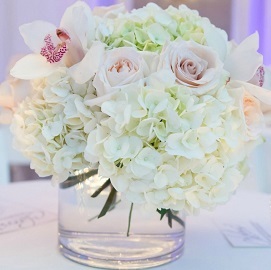 You can have the flowers delivered at the celebrant’s home or office or at the party venue. 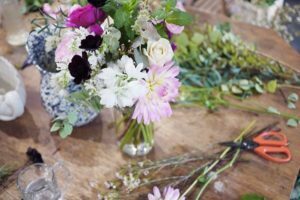 The delivery of flowers can also be done with a touch of surprise and the florist has lots of wonderful ideas for the special occasion. Your budget for the flower is an important factor in picking the right birthday flowers to send. If you have a certain budget for the flowers, make sure that you never go beyond your budget. There are offers and deals to maximize to afford beautiful flower arrangements for birthdays. Sending Flower Delivery for birthday flower arrangement should be enjoyable from picking flowers to paying for them. With the florist in Singapore, you can make your gifts of flowers more special for the celebrant.